I simply could not resist the cute puppy on the front of Lizzie Lane's War Orphans, so I was delighted to be invited to host a stop on the blog tour. 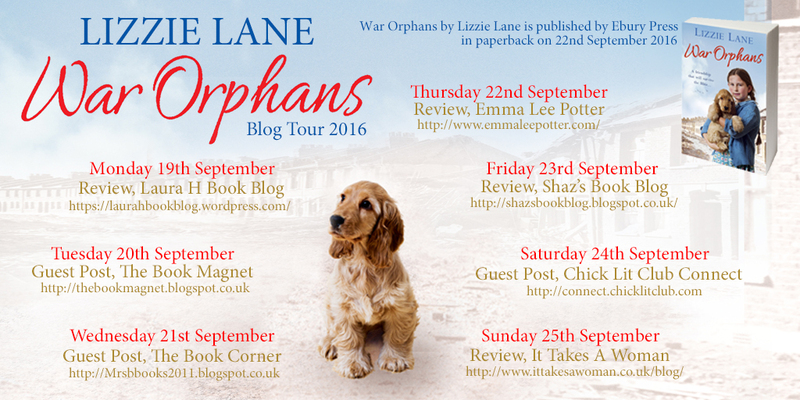 You can read my review after Lizzie's guest post on her canine influences for War Orphans. Silky hair also helps and I am not prejudiced as to colour, breed or questionable pedigree. Rusty was not top drawer but the first time I saw his big brown eyes looking up at me, I was smitten. He was an Irish Red Setter and I bought him purely as a pet, though he went on to open other doors I never knew existed. Thanks to Rusty I became more and more involved in all things canine. I entered dog shows, I acquired more dogs, I ran dog training classes, I even judged at dog shows. I learned a log from my canine friends, number one being that they are totally loving, totally loyal and will be with you till the end no matter what daft things you do or what dangers you lead them into. There was always a wet nose to nudge me out of my dark mood or away from my work. One look from those heavenly velvet eyes was enough to remind you that there was fresh air outside, a chance to stretch your legs and go chase rabbits. Rusty did the chasing though never caught any. It was Rusty that came to mind when I first read about the wholesale destruction of dogs at the outbreak of war. The rush to euthanize was so massive that dead animals were left in heaps outside vets, PDSA and RSPCA waiting rooms. Even the rendering companies who reduced the animals to glue were inundated. Horrified and fascinated, I felt compelled to write a story against that appalling background. To do that I needed to channel my emotions and imagine how it felt to abandon a dearly loved pet, one who so dearly loved in return. After all these years it was Rusty who came to mind. I lost him when he was nine years old. He left home, somehow got lost and I never saw him again. I became Joanna, the little girl in War Orphans who finds the abandoned puppy. Her cat had already been destroyed. She is determined to protect the cocker spaniel puppy she names Harry. For me Rusty lives on through Harry even if only in a book. Both endowed with big brown eyes and silky coats, gave unconditional love and helped people heal; a fitting memorial I think. Thanks so much for your guest post, Lizzie! What a fabulous testament to Rusty; I'm sure many readers will relate to their own beloved family pets when reading War Orphans. 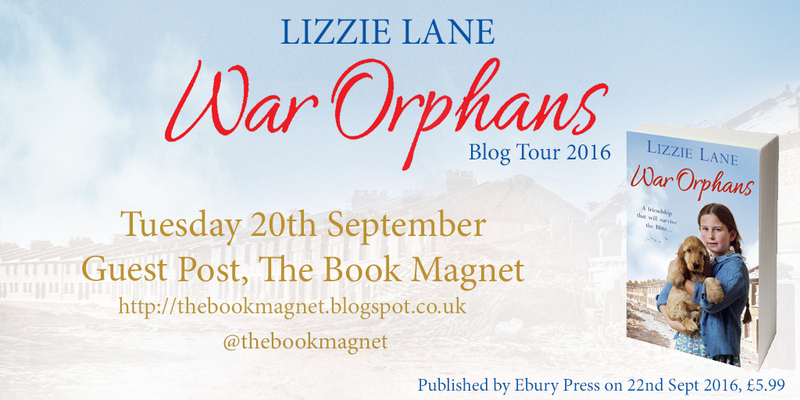 To find out what I thought of War Orphans, read on for my review. If at all possible, send or take your household animals into the country in advance of an emergency. If you cannot place them in the care of neighbours, it really is kindest to have them destroyed." But then she finds a puppy, left for dead, and Joanna’s becomes determined to save him, sharing her meagre rations with him. But, in a time of war, pets are only seen as an unnecessary burden and she is forced to hide her new friend, Harry from her step-mother and the authorities. With bombs falling over Bristol and with the prospect of evacuation on the horizon can they keep stay together and keep each other safe? I don't read as many wartime sagas as I used to but when I saw the puppy on the front of War Orphans I was powerless to resist. Although I don't have any pets of my own, I do consider myself an animal lover and dogs seem to recognise this in me, as I'm a bit of a dog magnet as well as a book magnet. War Orphans is based around a true story, that of so many household pets who were put to sleep during World War II, many of them by less than humane methods. We take the time to remember all of the fallen on Remembrance Day and we shouldn't forget the plight of so many innocent animals. Through War Orphans, we will remember them. Joanna's mum died when she was 6 so her father remarried, as men did in those days, to provide Joanna with a mother to care for her. Only Elspeth, the woman her father chose, wasn't quite as maternal as he thought - a fact that she hides from her new husband. Elspeth is very selfish and only looks after herself, so when Joanna's dad goes off to war, Joanna doesn't look forward to returning home from school. One day, when she is playing beside a stream after school, she sees what she thinks is a rat but on closer investigation turns out to be a puppy clinging onto life. She rescues the puppy, names him Harry and hides him in an abandoned shed at the local allotments. Joanna doesn't know this at the time, but the shed belongs to her teacher's dad, Seb Hadley. Seb Hadley lives with his daughter, Sally, who is Joanna's teacher. Seb is struggling after the loss of his wife and doesn't leave the house. After some nagging from Sally to 'dig for victory' and grow their own vegetables, he visits his neglected allotment where he finds Harry living in his shed. Seb can see that Harry is being fed and watered so he wonders who is looking after this lovely puppy. He sees Joanna visiting Harry after school and it isn't long before the pair strike up an unlikely friendship. War Orphans, although being based around such a disturbing storyline, is such a heart-warming read with characters we can liken to those in our favourite fairytales. Elspeth is the traditional wicked stepmother to Joanna's Cinderella and Seb may very well be Joanna's Fairy Godfather. Harry's part is the prince who steals all our hearts - he certainly stole mine! 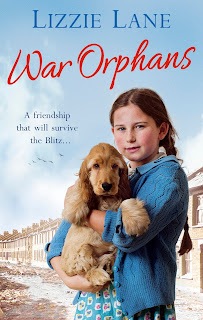 I enjoyed War Orphans more than I expected so I gave it a well deserved 5 stars. It is quite heart-breaking at times, with both human loss and the plight of the animals, but like all good fairytales it ends with a heart-warming happily ever after. 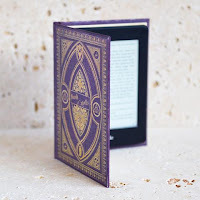 I received this book from the publisher, Ebury Press, in exchange for an honest review.